We’ve all heard the saying, “Put your best face forward,” but the aging process can make that difficult. If sagging skin, jowls, and an overall “drooping” effect are making you appear tired and older than you actually are, a facelift might be the answer. By lifting and repositioning facial tissues underneath the skin, removing excess skin and tightening loose neck muscles, a facelift can help you look more youthful and rested, just like you feel. Facelifts range from “mini” to “standard” depending on the extent of sagging as well as the location. A mini facelift can be an excellent option for patients who show minimal, yet bothersome jowling and sagging under the chin to restore a more youthful appearance. Incisions are limited and recovery from a mini facelift can take as little as one week. A standard facelift is usually more appropriate for patients with more advanced jowling, prominent creases around the nasolabial folds, and sagging neck tissues. This procedure repositions subcutaneous tissues and tightens loose muscles in addition to correcting sagging skin. Dr. Movassaghi will discuss the most appropriate options for your goals with you at your consultation. Since the actual facelift procedure, or rhytidectomy, focuses on correcting sagging tissues on the middle section of the face—the cheekbones to the jawline—it is extremely common for Dr. Movassaghi to perform a facelift in conjunction with one or more other procedures for more total facial rejuvenation. Except in the case of a mini facelift procedure, a facelift will usually be combined with a neck lift as well. 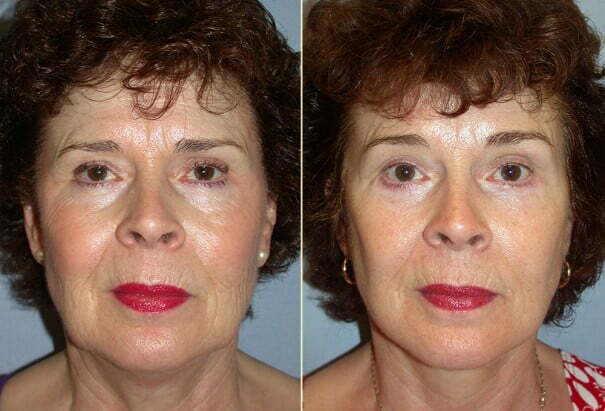 Many patients also have eyelid rejuvenation or brow lift surgery performed at the same time. While combining procedures enhances the overall result, the recovery time is typically the same as what is required for a facelift alone. At your consultation, Dr. Movassaghi will discuss your options and help you decide on the right procedure plan for you. Dr. Movassaghi performs facelift surgery on an outpatient basis under local anesthesia with sedation, or under general anesthesia. Your procedure will take place at McKenzie Surgery Center or Sacred Heart Medical Center in Eugene, Oregon. Incision placement depends on the specific nature and extent of the procedures being performed: within the hairline (or along the hair margin), above the ear, extending down around the lobe and ending in or below the hairline behind the ear. Dr. Movassaghi will place incisions in locations that are naturally well-camouflaged and virtually impossible for others to detect once healed. Through these incisions, the subcutaneous layers and neck muscles are tightened and lifted to a more natural position on the facial structures, the skin is redraped over the newly lifted tissues, and the excess skin is removed. After surgery, you will go home with your head and neck wrapped in dressings, which are usually removed the next day. Minimal initial discomfort is easily controlled with oral medication. Sutures are removed within 14 days. Most patients feel that bruising and swelling have decreased to “socially acceptable” levels in 10 to 20 days, although there is should be nothing preventing you from going out in public as soon as you feel ready. 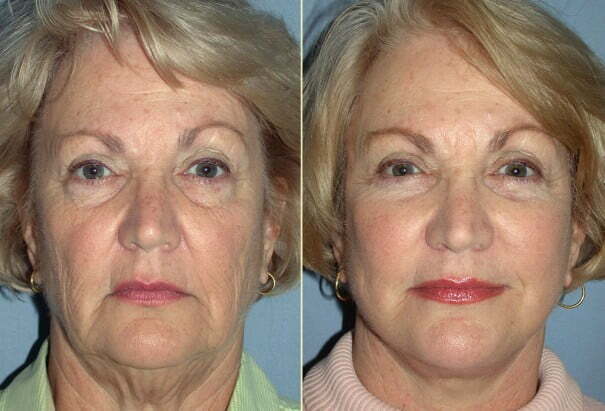 The final result of a facelift is evident in 4 to 6 weeks or sooner, with continued improvement for several months. What if I’m not ready for facelift surgery? Exilis Skin Tightening: if you’re just starting to notice sagging cheeks or jowling, Exilis can be an excellent option to restore a firmer, smoother appearance. We can treat almost any area of the face, including the lower eyelids, cheeks, neck and jowls without anesthesia or surgery. BOTOX & Fillers: these extremely popular injectable treatments can plump the skin or smooth wrinkles for up to 12 months. For our patients, we use injectables to restore youthfulness to a face that is just beginning to show signs of aging and to enhance the results of facelift surgery by treating more surface-level wrinkles. Laser Skin Resurfacing: Improving skin tone and texture can go a long way towards achieving a more youthful look. We can help you determine whether a peel, laser resurfacing, or other facial treatment is best suited to your goals.